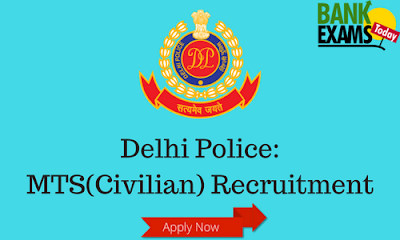 Delhi Police has recently released the notification for Multi Tasking Staff (Civilian) vacancies. Apply online between 17 December 2017 and 16 January 2018(5 pm). Rs. 100/- (For Male General/OBC categories). No fee for women and other categories. Final Merit List for selection will be drawn for each category of posts on the basis of marks obtained in Written Test by candidates and who also qualify the trade test. Note:- Use IE and Google Chrome browser to Apply for the posts.